A couple of days ago, I took a look at KGet, which is KDE's resident download manager. As you'd expect, KGet features heavy integration within Konqueror, the KDE web browser. However, many KDE users prefer to browse with Firefox for greater compatibility, meaning full integration between their browser and KGet isn't possible by default. Today, I'm going to show you how you can integrate the two programs using third-party Firefox extension FlashGot. First of all, head over to the FlashGot website. On the left hand side of the page, click Download and then Install Now on the new page to download and install the Firefox extension. 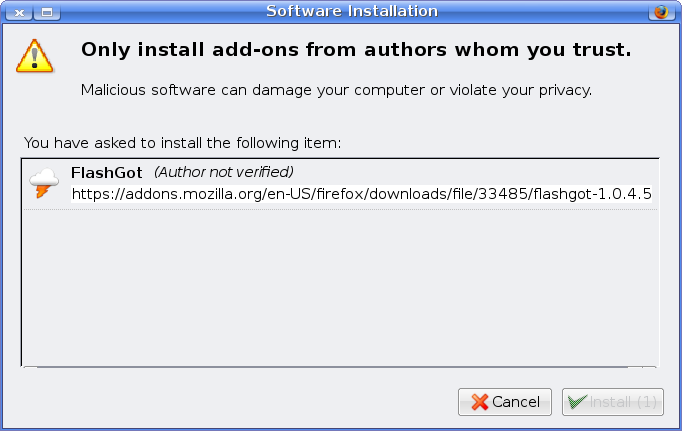 Once the extension is installed, you'll be asked to restart Firefox. Do so, and now FlashGot should be installed. 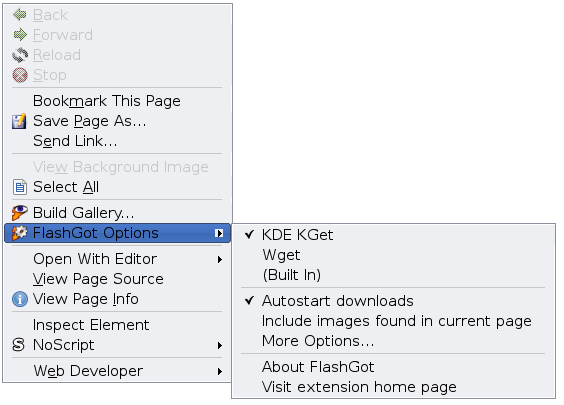 The first step once FlashGot is inside your browser is to make sure that KGet is selected as the default download manager to use. Right-click in any blank area of a Firefox window, and go to FlashGot Options. 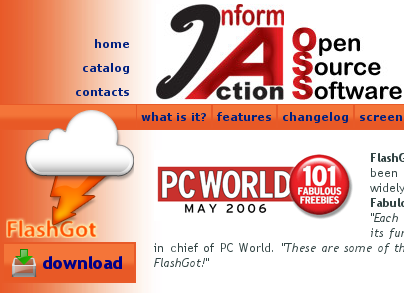 On this list will be all the supported download managers that FlashGot has detected are installed on your system. Choose KGet from the list, and it becomes your default download manager. There are now several different ways you can force FlashGot to invoke KGet to perform a download. For any download that springs an open/save dialogue, like the one below, FlashGot will include an option on that dialogue box that allows you to perform the download with KGet (or any other download manager). 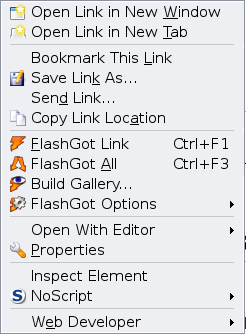 Alternatively, you can right-click any link on a web page and choose FlashGot link from the menu to download the link with KGet. Finally, there are also several other functions of FlashGot (including downloading all the links on a single page) that you can use to perform downloads with KGet, or any other external download manager of your choice. I won't go through them all here, you can read more on the FlashGot site. FlashGot is an excellent solution for KDE users that want to enjoy the extra functionality and integration of the KGet download manager, but that use Firefox as their primary browser.